I.DE.A Institute (acronym, Institute of Development in Automotive Engineering) is an automobile design and engineering company in Turin, Italy, founded in 1978. The Rieter Holding Ltd took full control of the company in 2002. In 2010, Rieter sold the company to the Swiss investment group Quantum Kapital AG. 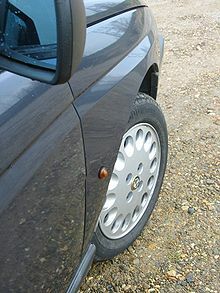 2004 Fiat Trepiùno (construction only). ^ "I.D.E.A." globalautoindex.com. Retrieved 2007-12-27. ^ "I.DE.A. Institute to be acquired by Quantum Kapital - Car Body Design". www.carbodydesign.com. Retrieved 2015-08-12. ^ "Fiat reveals new 500". Autocar Magazine.